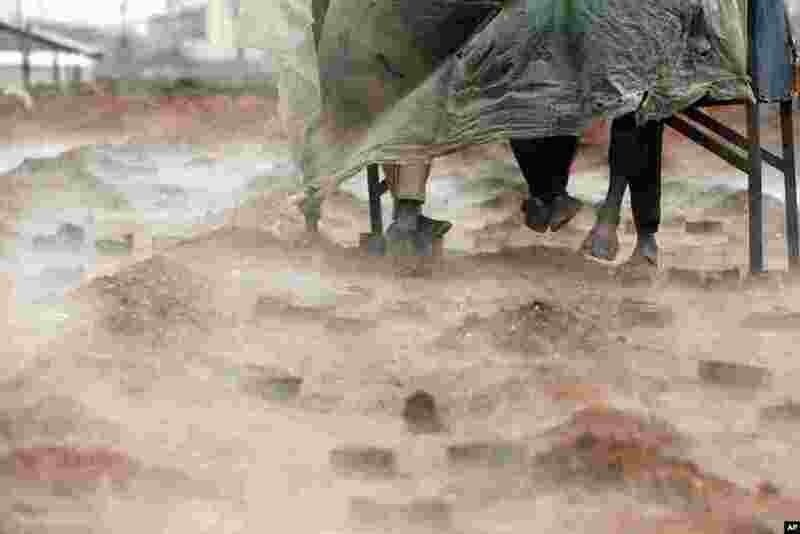 1 Indian migrant workers cover themselves with a plastic sheet as steam rises at a brick kiln, during rainfall on the outskirts of Kathmandu, Nepal. 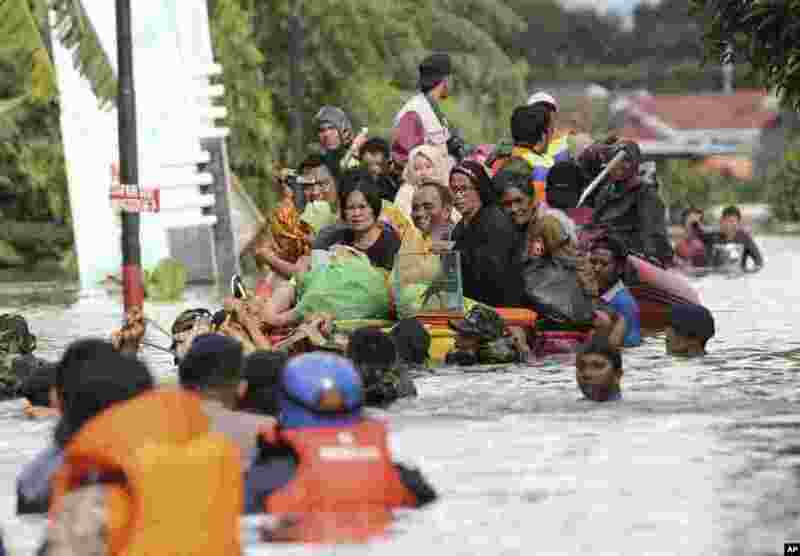 2 Residents evacuate their flooded homes in Makassar, South Sulawesi, Indonesia. Heavy rains and landslides displaced several thousands of people living in central Indonesia, officials said. 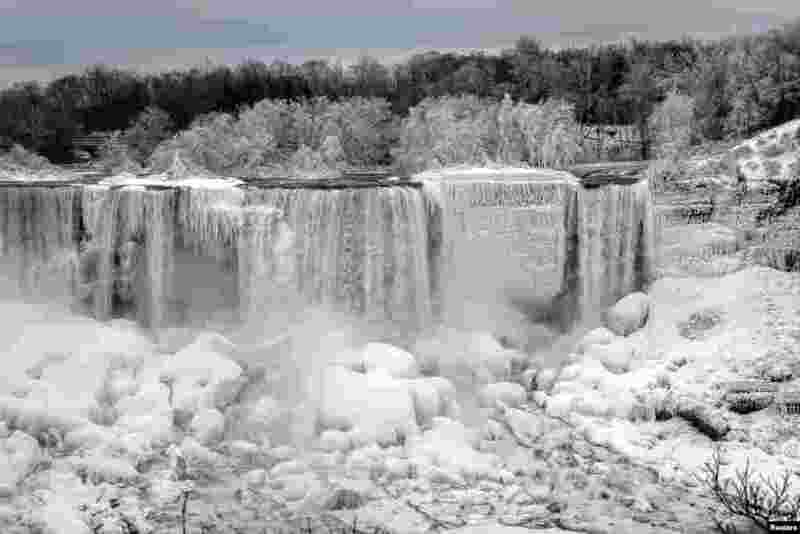 3 The U.S. side of Niagara Falls in Niagara Falls, New York, frozen due to cold temperatures, is seen from the Canadian side, Ontario, Jan. 22, 2019. 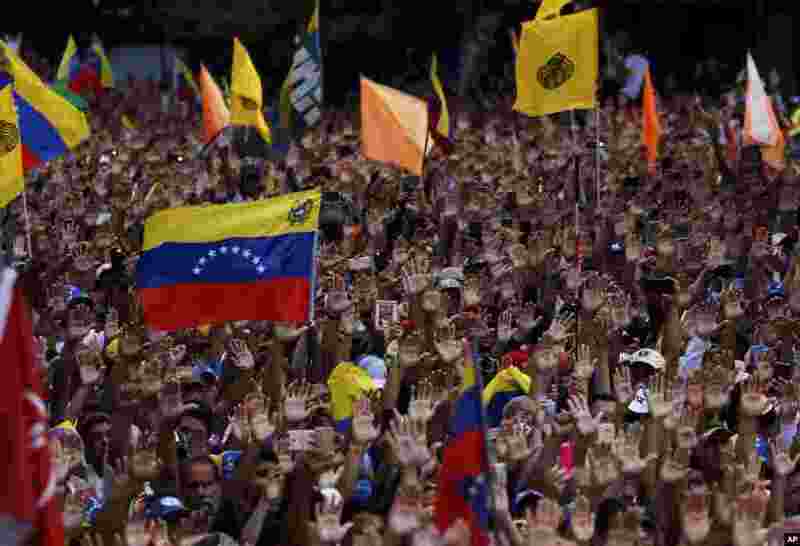 4 Anti-government protesters hold their hands up during the symbolic swearing-in of Juan Guaido, head of the opposition-run congress, who declared himself interim president of Venezuela during a rally demanding President Nicolas Maduro's resignation in Caracas.